I’ve gotten so many compliments all around with this hair style. It’s cool in this southern heat because my hair is off neck and in an updo, except for a few loc’s that my Stylist Tumika left in the front and the back to give my face a few spiral curls at my request. One of the main things I hear from women who want to go natural but are hesitant is that they worry about the versatility of creating different hairstyles with their natural hair. 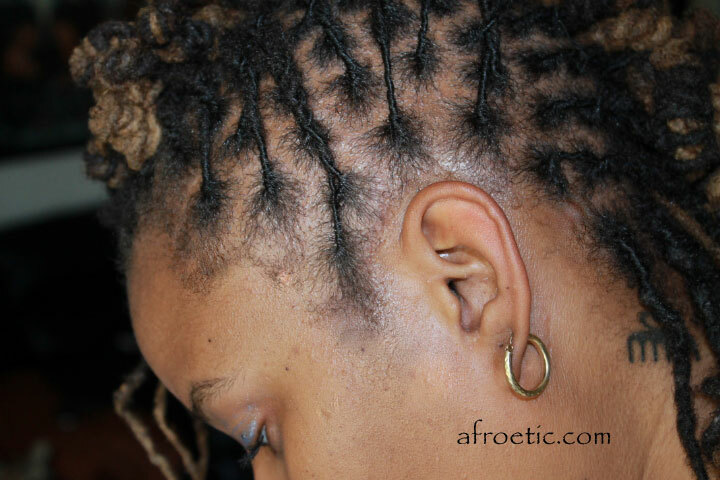 One of the reasons (among others) for this blog is to showcase the different ways to be creative with your natural hair and ‘how to’s’ for natural hair care. I created an post many moons ago showing off the creative and artist styles that can be created with loc’s in particular. 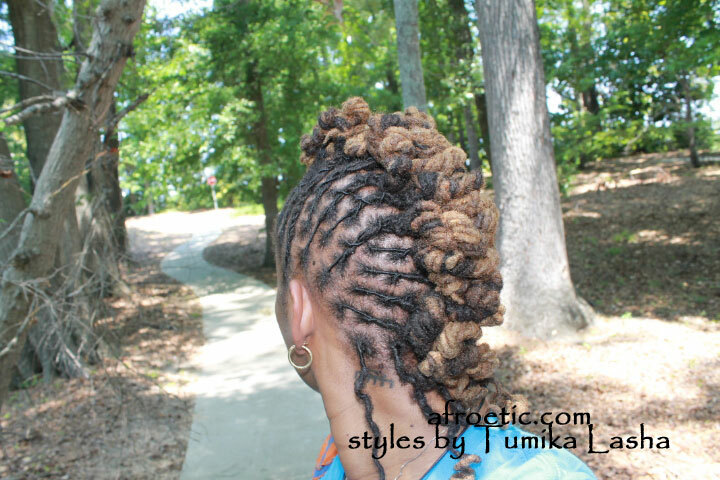 See that post here for more styles by Tumika at Creme De La Creme Hair gallery.